With the Wii Shop set to completely shutdown in early 2019 and users being locked out of the ability to add more points to their accounts, this review couldn’t have come at a more pointless time. But if, like me, you have a few hundred extra points burning a hole in your digital pocket then this review might just help you decide which ‘Buy’ button to point your Wii Remote at. Especially if you’re looking for experiences that as of this writing are exclusive to WiiWare. I don’t profess to being an expert of the shoot ‘em up genre but it has always been a part of my palate – an R-Type machine was right across the street from one of my usual summertime haunts and Space Megaforce was a staple of sleepover game rotations. But it wasn’t until the Virtual Console began releasing shooter after shooter after shooter than I understood the breadth and variety of the genre. The Star Soldier series, primarily released for the Turbografx-16, was particularly beyond my purview. Luckily my desire to grab just about anything from the WiiWare service that seemed remotely interesting led me to Star Soldier R and subsequently to the rest of the Star Soldier series. Even within the Star Soldier canon R is an atypical game – gameplay revolves primarily around a short main game designed to be played many times for a high score. The game is even split up into “2-Minute” and “5-Minute” campaigns. And yes, they are quite literally 2-minutes and 5-minutes long; regardless of where you are in the game’s two stages, when the timer runs out it’s game over. This length lends itself incredibly well to return sessions every few months or even years. Players are meant to spend the first few plays memorizing and then the next thousand plays optimizing. For people who find other “full length” shooters to be too intimidating or too much of a time commitment, Star Soldier R offers a bite-sized experience that begs to be replayed over and over. For a game this slight of content, the amount of time devoted to story is kind of amazing. Waiting on the title screen long enough will trigger a series of still images and text that explain Star Soldier R’s place in the greater Star Soldier timeline and give context this ship’s particular mission. This is so wholly unnecessary that I can’t help by find it outrageously charming. The earnestness with which Star Soldier R presents its story perfectly captures the feeling of an arcade cabinet attract mode. Each stage is also bookended by short cutscenes showing the player’s ship taking off or moving on to its next destination. I tried to find more screenshots but Hudson’s old URL is now owned by an ENT in New York. So here’s this guy. Mechanically Star Soldier R is pretty basic; there are two kinds of power-ups that operate linearly and simultaneously. Blue capsules create satellites around your ship that can be sent of to automatically target enemy spacecraft, while pink capsules enhance your main ship’s shot. There are no branching weapon types or alternate types of fire (beyond the aforementioned satellites). Taking a hit will knock the player down a weapon-level and destroy the player’s ship if at the base weapon-level. This combined with the fact that there are no lives and infinite continues means that anyone can get through a round of Star Soldier R provided the death count hasn’t led to too much lost time, particularly when fighting one of the bosses. Star Soldier R is a difficult game to recommend logistically speaking – I can recommend it all I want but the chance that anyone is in a position to purchase it is incredibly slim. If you happen to be one of the five people left on the planet with 800 Wii Points to spare and a desire to pick up a short score-attack space shooter exclusive to WiiWare, then by all means, Star Soldier R is the way to go. There are dozens of other games that will give you more content for 800 points on the service but Star Soldier R is fun little revival of a series that is unlikely to resurface anytime soon. Give it a shot if you have to ability to do so. Kazuko Shibuya is one of the most influential artists in game design and an unsung hero of the ‘videogame’ aesthetic. She created and refined many of the visual elements that have come to define the look of JRPGs . Her artwork for Final Fantasy on the Famicom captured the perfect proportions for expressive and detailed, but uncluttered character design. The default character sprites for the Warriors of Light are timeless and continue to be riffed upon, referenced, parodied, and pastiched in and outside of videogames. Much like coins or ‘? Blocks’ or a HI SCORE leaderboard, Shibuya’s 16×24 pixel figures are cultural shorthand for not just adventure games of a certain vintage, but videogames as the world sees them. It’s fitting then that for the 30th anniversary of Final Fantasy, Square Enix has released a 288-page love letter to Shibuya, the pixel artists of the 8- and 16-bit era of Final Fantasy, and to an art style that continues to shape pop culture. FF DOT. is absolutely a book that you can judge by it’s cover – minimalist, deliberate, clean, and a little bit whimsical. The content is exactly what you would expect. Blown up pixel art from Final Fantasy I, II, III, IV, V, and VI in chronological order with plain, often white or black, backgrounds to better highlight the sharp edges and bright colours of the art. The NES/Famicom trilogy gets the most even representation across it’s three titles. Each section starts out with a detailed look at the playable characters sprites, often breaking down select sprites with both a grid to show the exact dimensions and a colour palette to show just how limited a colour range the artist had to work within. The character section for Final Fantasy III is predictably robust – being the first game in the series to have a job-change system a lot of real estate is taken up by showing off the dozens of different sprites created for each class. Having these character sprites from these three titles in such close proximity makes for a really interesting look at what changes were made to each class as the series progressed; I had never appreciated the subtle differences between Warrior(FFI), Firion(FFII), and Warrior(FFIII) until I compared their dedicated pages in FF DOT. WARNING: Book contains a lot of guys that look like this. But Final Fantasy is more than just the Warriors of Light. Each game also has pages dedicated to enemy sprites, battle backgrounds, items, towns (often breaking them down tile by tile), menus, and bosses. The layout does an excellent job at emphasizing key battle sequences by featuring certain bosses in two-page spreads, sometimes with key dialogue helpfully presented in both Japanese and English. In fact an interesting thing to note is that while this is a Japanese import book, all text is presented not only in Japanese and English, but localized names are provided alongside the Romanized Japanese originals. It’s a nice touch that shows this book was made with love and care for an international audience. It’s also a startling reminder that while Sabin is a bit of a goofy name, it’s infinitely more believable than Mash. Speaking of Final Fantasy VI, the SNES/Super Famicom era is where FF DOT. falls on it’s face a little. Let’s talk first about where it succeeds. First of all the quality of the art itself is incredible. Any Final Fantasy fan can tell you that, sure, but to see the Phantom Train, Neo Exdeath, and the Four Fiends given the full page treatment really shows of the skill and artistry that went into these games. Two pages are given to the opera scene; one page shows the perspective from the audience, while the other shows the view from onstage as well as Celes throwing her bouquet from atop the set. These story moments captured in time are where the 16-bit trilogy section truly excels. I love this layout so much. Someone had to sign off on this. This is brilliant. Unfortunately the same care that went into meticulously presenting the character sprites of the 8-bit era seems to have been thrown out the window a bit for the 16-bit titles. Final Fantasy V, being the job-based game of this era, is the exception and ends up being represented exceptionally well. All five main characters get full spreads with all of their job-classes present (sans the jobs introduced in the GBA version). Much like the evolution of job design in the NES/Famicom games, comparing the minor differences in the way each FFV character interprets traditional jobs is a real treat – Bartz’ adherence to classic Final Fantasy style, Faris’ balance between masculine and feminine, and Krile’s upending of convention for the sake of cuteness. The casts of Final Fantasy IV and Final Fantasy VI however don’t get the same level of attention. Throughout FF DOT. each major character is given a new idle sprite created by Kazuko Shibuya to reflect the evolution of her art. These new pieces are called the ‘2018 Version’ and they show up in each game’s character section to sort of show off what Shibuya’s interpretation of these characters might be today. They are a wonderful addition and wonderful way to show Shibuya’s passion for the series and the characters she helped to create. For whatever reason the character sections of Final Fantasy IV and Final Fantasy VI only show these 2018 reinterpretations. Some of the original sprites for these characters can be seen on other pages as parts of larger scenes but not all of them and often not in their standard idle battle pose. Relm, Strago, Rydia and Rosa are just a few examples of characters whose original battle sprites are nowhere to be seen. It’s a baffling decision especially considering I, II, III, and V all have sections dedicated to this very thing. An odd choice and the only thing that mars an otherwise brilliant collection of artwork. Luckily there are a couple extra sections that help make up for this oversight and really push FF DOT. into must-have territory. The ‘2018 version’ treatment isn’t just limited to the two Nintendo trilogies – every main title in the series up to Final Fantasy XV gets a pixel art makeover. While this isn’t the first time all of these characters have been reinterpreted this way (Final Fantasy XV has pixel art versions of the main four cast members in-game, and Final Fantasy Record Keeper is a mobile game solely about presenting Final Fantasy characters from across the series in a retro style), it is the first time that Kazuko Shibuya has rendered many of them herself. Some entries in the series get more love than others (Kiros and Ward, really?) and there are some important characters left out of the action (XIV doesn’t have any representation beyond A Realm Reborn and even then, no Merlwyb!) but it makes for a fun look at an alternate dimension where the series never left the Super Nintendo. Ever. Things have uh… changed for the cast of XIV since then. And the finale of FF DOT. is almost worth price of admission itself; a ten-page interview with Kazuko Shibuya herself. Accompanied by black and white photos of her and her workspace, it’s a charming and insightful interview that I implore people read if they have any interest in the early days of Square and pioneer women of the games industry. It’s the perfect way to end such a great tribute to her work and the work of everyone who helped make the iconic visuals of such a ubiquitous franchise. FF DOT. is the kind of book that I wish there were more of. Publishers like Dark Horse and Udon do a great job of localizing beautiful artbooks for all kinds of games with amazing illustrations and they deserve tons of credit for doing so, but these books are often physically large and dense with the same kinds of content. They are ultimately treated like any other merch that lines the shelves of comic shops and Gamestops for a fan to put on their bookshelf with a dozen other books just like it. FF DOT. takes a decidedly different approach to appreciating videogame art; it curates and recontextualizes in-game assets to create a compelling and well-paced journey through a revolutionary movement of digital art. I highly recommend FF DOT. for anyone with an interest in pixel art, the history of Final Fantasy, and granular visual studies of videogame art and aesthetic. FF DOT. is available now on the Square Enix official online store for $43.99 USD + shipping, Amazon.com for $52.99 + shipping, or from Amazon.co.jp for 3,780 JPY + shipping. Amazon Japan worked out to be the best price for me. The world of Final Fantasy arrange albums is as complex as the franchise itself; replete with nearly as many masterpieces-that-shouldn’t-be-missed as there are one-offs-that-you-could-probably-live-a-satisfying-life-never-experiencing. It’s not unreasonable for someone to see the dozens upon dozens of albums released in the past 20+ years and be intimidated enough to leave the whole darn thing alone. But for fans of Final Fantasy, fans of the music of Nobuo Uematsu and his successors, and those who are interested in videogame-adjacent music, there’s a lot to love if you’re willing to take the dive. World-renowned jazz musicians, Eijiro Nakagawa and Ryu Kawamura have taken well-known tracks from nearly every game in the main series (sorry, fans of VII, XI, and XII) and infused them with the horns, swung rhythms, and improvised solos that make jazz what it is. But ‘jazz’ is a broad term and just slapping it onto some of the most memorable tunes in videogame history doesn’t necessarily mean instant success. Before we even dive into this music I have a bone to pick. The history of jazz album art is as nuanced and beautiful as the music itself. It’s a history of high-contrast photography, energetic shapes and colours, high-impact fonts – it is mid-century graphic design at it’s absolute best. Maybe it’s too much to ask but SQUARE ENIX JAZZ –FINAL FANTASY- has easily one of the dorkiest covers I’ve seen in a long time, regardless of genre. Nothing to hang on the wall, that’s for sure. It’s too bad because Square has produced some excellent, if conceptually abstract, album art over the years. The cover features Vivi playing a saxophone over a blue background with the album title in a decidedly unattractive font in the top let corner. It’s criminally uninteresting. Nothing about this cover lets the listener know what they’re in for beyond the idea that Final Fantasy and ‘jazz’ are involved. It doesn’t take too long to discover that this lack of specificity and direction encompasses the style of (or lack thereof) jazz we’re about to experience. The music starts off with a bang. A high energy, latin-infused rendition of Final Fantasy XIII’s “Blinded By Light” kicks things off and sets the stage for what we can expect from a lot of the tracks on this album; technically fantastic solo sections book-ended by well-trodden melodies. “Eternal Wind” from Final Fantasy III heads toward the more relaxed end of the spectrum but the instruments used give it an unfortunately “spa-waiting room” feel that rears it’s ugly head several times throughout the album. It’s unfortunate because “Eternal Wind” is one of my favourite songs in the series and I always look forward to a new arrangement of anything from FFIII. Luckily the melody is as infectious as ever and the drums and piano add interesting texture in the latter portions. “Searching for Friends” from the tragically underappreciated Final Fantasy V falls into a similar trap as “Eternal Wind”; it’s a competent enough piece with excellent solos but the instruments chosen and the lack of contrast throughout the piece keeps it in the realm of background music. Final Fantasy IV’s famous “Battle With the Four Fiends” is the first track that feels at home. The bass is featured more prominently and the guitar takes a backseat to the tight shots from the horns. Everything backs off during the solos and gives the whole piece room to breathe, which is important when you’re fighting Golbez’s four best. Despite being a stressful song to listen to because of the memories tied to these moments in-game, this feels like one of the most fully realized pieces of music on the album. Probably the most recognizable melody from Final Fantasy II, “The Rebel Army” takes the jazzier ideas from Four Fiends and runs with them; this tune gets swung to hell — where it kills the ruler of that fell place and returns even more powerful than before. Just bass, horns, piano, drums and backphrasing that won’t quit, this is one of the few tracks that would sit comfortable on anyone’s regular jazz playlist. It’s a genuine treat. Kawamura’s call-and-response thru-line in Final Fantasy V’s “Clash on the Big Bridge” makes it a standout. This song goes plenty of fun places, none of which are expected from this boss fight theme. It builds to a fantastic battle between the piano and the sounds of the Super Famicom that culminates in Gilgamesh “running away” at the end. It suits the theme song for Final Fantasy’s most loveable villain. “Serah’s Theme” from XIII is by far the most relaxing piece of the album and serves as an excellent intermission. Just some excellent jazz piano, a few bars of featured bass, the drums having a hell of a time, and one of Masashi Hamauzu’s finest melodies. This is another highlight that is bound to satisfy even those unfamiliar with Final Fantasy. X’s Zanarkand is a bona fide earworm. It seems a tad out of place with it’s Spanish guitar and oboe but it’s nice enough on it’s own. The first of the back-to-back Final Fantasy IX tracks is the completely bonkers “Not Alone”. The original sounded very much like something you’d hear from a busker at the quay. This arrangement pays homage to that sound briefly and then proceeds to go all over the place. It brings in some New Orleans sound but drops it too soon. This song captures the feeling of the album almost perfectly: a lot of different components indicative of jazz that get abandoned too quickly to contribute to a theme. “Melodies of Life” is a lovely version of IX’s ending theme but it feels completely out of place. It’s a lovely ballad that unfortunately only adds to the confusion of what this album was trying to achieve. Certainly worth listening to if you’re a fan of that piece, but sticks out like a sore thumb. “Love Grows” from Final Fantasy VIII is a sitcom theme song with a solo section. And it’s kind of great. Just imagining the cast of FFVIII in front of a studio audience is enough to sell this song for me. I don’t even care. The album concludes with the tried and true “Final Fantasy Main Theme”. The wonderful solos are bookended by a guitar line that feels like a slap in the face. Though I suppose without a real theme for this album why NOT throw a rock ballad in at the end? If the album’s goal was to create a Final Fantasy tribute that featured elements of jazz then I suppose it succeeded. Unfortunately it feels far too often like ‘jazz’ just happened to be a common denominator as opposed to the ethos of the arrangement process. Very rarely does this album explore interesting territory and when it does you’re bound to get a jarring return to “waiting room” jazz far too soon. Still, the handful of excellent tracks are worth listening to regardless of your familiarity with the source material. A lack of a cohesive thesis is what keeps the album as a whole from rising above it’s novelty. Wander into any used game store across North America and there’s a decent chance that you’ll spot a couple Game Boy Cameras; a charmingly bizarre accessory/game released during the Game Boy renaissance of the late 90s. Equal parts tool and toy, the Game Boy Camera is the brainchild of longtime Nintendo composer/designer/programmer Hirokazu ‘Hip’ Tanaka. And if there’s anyone out there who would appreciate what the BitBoy can do for the Game Boy Camera in 2016, it would be him. Originally released in a limited 100-unit first printing in October 2015, the BitBoy is a third party device that has been created for the express purpose of extracting pictures from Game Boy Printer-compatible software and transposing it into a .bmp format that can be easily transferred to a computer. And once those pictures are on your computer the sky is the limit. The potential behind the BitBoy is virtually limitless and breathes new life into the Game Boy Camera — one of the most unique and versatile game peripherals of 90s. Technically speaking the BitBoy is a cinch to use. Simply connect the little black box to your Game Boy of choice using a game link cable (generously included with the BitBoy, but your own cables from 20~ years ago will do the job) and use it the same way you would use a Game Boy Printer with any compatible software. That means your photos in Link’s Awakening DX, your high scores in Pokemon Pinball, and even your Pokedex entries from Gold and Silver are all extractable. The BitBoy also comes with instructions that show you how to batch extract multiple photos from a Game Boy Camera at a time, making what could have been a patience-testing affair into a simple push of a button. Everything about the BitBoy is user friendly and designed to maximize ease of use. The unit itself is a lightweight, minimalistic, 3D printed black box that could easily fit into a pocket – it’s so non-descript that it’s almost nefarious-looking. Both connector ports are easily accessed and the SD card is easily removed. It has LEDs showing power and transfer status – a feature that designers with less passion and talent would have easily looked over. And it’s these small details that make the BitBoy such a curious and exciting device. Having the monopoly on the Game Boy Camera transfer tool market means that the BitBoy could easily have been much less impressive and still been received by the market with open arms. That these standards have been set so high for such a niche product is kind of incredible. Instructions, a game link cable, a USB charging cable for the BitBoy’s built-in lithium-ion battery, a 4GB SD card and the BitBoy itself are all included with price tag. A price tag that will seem prohibitive to some, but considering the number of items included in the package — and features included in BitBoy that streamline the process — 100 USD plus shipping isn’t the most expensive thing in the world. And for the relatively tiny market that this little guy is designed for, it’s a small price to pay for an item that by all rights shouldn’t even exist. But with the advent of BitBoy it’s likely that market will only continue to grow as 90s nostalgia is reaching its zenith. Small but passionate communities of Game Boy Camer photographers (not sure if I’m willing to appropriate the title of ‘FUNtographer’ just yet) have cropped up in the last few years. Facebook groups, blogs, and Instagram pages dedicated to exclusively Game Boy Camera photography aren’t taking the world by storm, but they exist and produce some remarkable work that would look right at home in their own gallery. It’s easy to chalk it up to nostalgia but there is something genuinely beautiful about good Game Boy photography – you want to see an artist push composition to its limits, give them only 4 shades of grey. My personal favourite is showcasing found photos on second hand Game Boy Cameras. Lo-res pictures of brothers and sisters and family pets, their anonymity protected by the sheer fact that no one can really make out faces on a Game Boy Camera to begin with. It’s a wonderful little world that I can’t wait to see grow in the coming years. 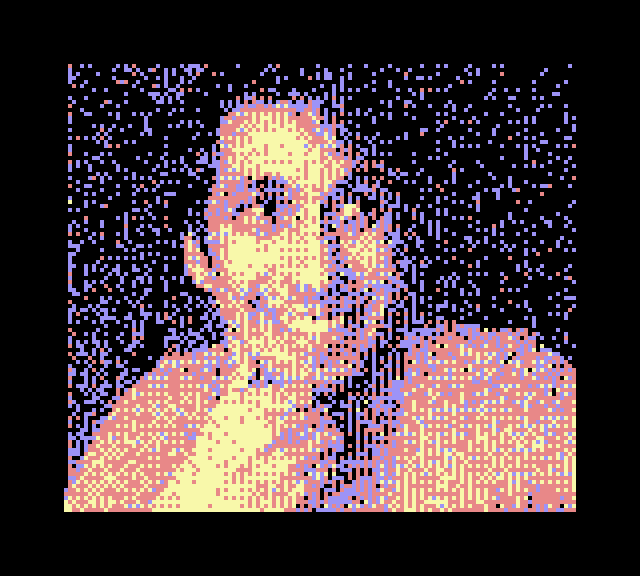 And none of this would have been possible without a way for people to extract their photos from the Game Boy Camera. After its initial limited run of only 100 units, BitBoy is available again for purchase from gameboyphoto.bigcartel.com. I can easily recommend BitBoy to artists and photographers or fans of Nintendo’s bizarre history of accessories that can afford it. I can personally testify that a number of art projects I’ve been experimenting with lately just wouldn’t have been possible without BitBoy. I hope that others out there find the same joy and creative satisfaction that I have while using BitBoy to resurrect one of Nintendo’s strangest and most wonderful peripherals.